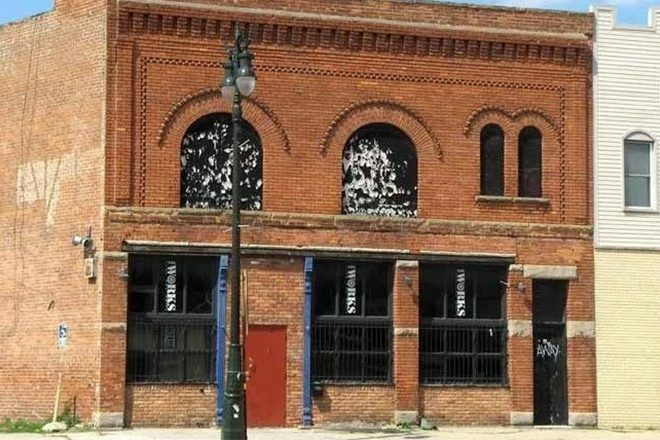 For over twenty years, Detroit's historic techno club The Works on Michigan Avenue has been a tried-and-true electronic music destination in a city that bears the name "birthplace of techno." This past weekend, The Works created a GoFundMe page to share the news that they are currently facing eviction and are being forced into a new location. Despite having a long-running lease agreement with the previous owner of the building, the building's new owner has decided not to renew the nightclub's lease. "As with the recent fate of many small businesses in Detroit, The Works is being forced out of their property that they have been renting for 20 years," reads a statement on The Works' fundraising page. "Our previous landlord sold the building in a very fast deal, giving us a very short notice. The new landlord, will unfortunately not give us a lease. We hate to ask but we need help. We need money to help us move to our new location." According to The Works' owner, Tammy Wilcox-Steelman, she had not been notified that the building had switched ownership until a few weeks before the deal was complete back in June. "We were working slow until we found out the building was sold and was told the landlord was going to work with us until our licenses have been transferred," said Wilcox-Steelman in an interview with Metro Times. "We are working as fast and hard as possible to get out of there ASAP." Despite having already purchased a new location, the venue still has a long way to go before it is club ready. In total, The Works hopes to raise 50,000 to help with installing a water supply, a sprinkler system, an exhaust system for the kitchen and an elevator as well. Providing a space for some of the world's most respected DJs such as Derrick Carter, Kevin Saunderson, Function, Adam X, Pete Tong, Egyptian Lover, Neil Landstrumm and countless others, The Works has properly served as one of the Motor City's most cherished venues.